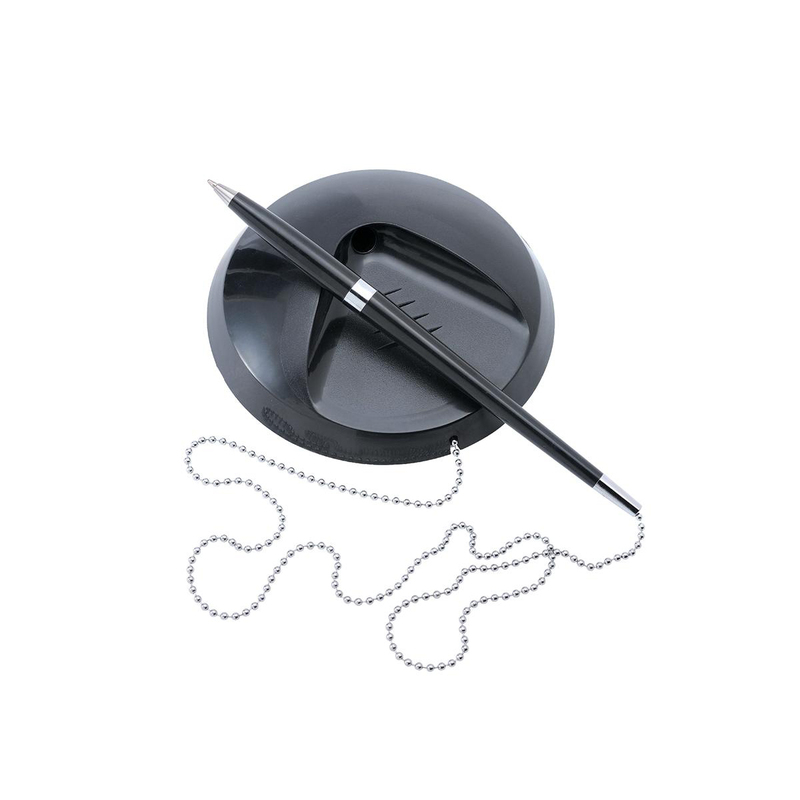 The 5™ Star Office Desk pen is ideal for receptions, counters and public areas where it is important where presentation is key without the pens going missing. The black weighted base has a peel back adhesive fixing pad and anti-wander chain. Black smooth flowing long lasting ink to go with the elegant tapered barrel with silver trim . Packs of 20 refills available, code 112340.